Tree surgery is one of Sunshine Landscapes' areas of expertise. 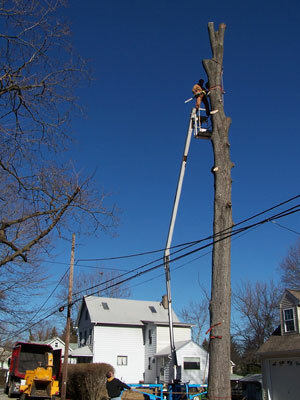 Our skilled tree surgeons and expert climbers offer a full line of tree services to residential and commercial property owners in the area, including pruning and trimming, topping, stump grinding, lot clearing, dead wooding, deep-root tree feeding, planting, limb cabling and bracing, brush removal, stump removal, and tree removal. We can also install new trees on your property. Click here for tips on plant care. 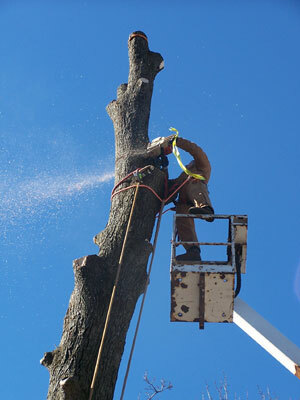 We also provide 24-hour emergency storm cleanup and 24-hour emergency tree service. 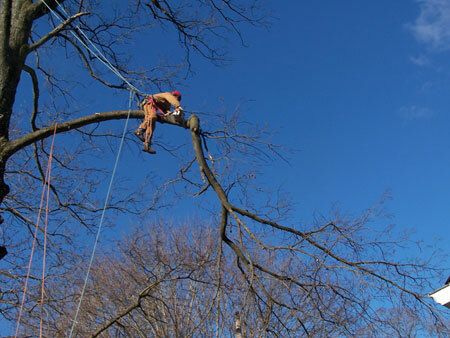 If a storm has taken down one of your trees, or large branches, or if a tree has been badly damaged, call us any time of the day or night at 610-476-7086 and we'll be there to take care of everything tree and limb related.